I've been a very bad blogger. Buuuuuuuuuuuuuuuuuuuuuuuuuuuut, I have some very valid reasons why blogging has dropped down the priority list. 1) This time next week, the handsome hubby and I will be landing in my very favorite city on earth. We're spending a week together in NYC to celebrate five years of wedded bliss. I've been up to my ears in planning, planning, planning. There may be an excel spreadsheet involved. 2) At the end of the month two of our most favoritest friends are boarding a plane and moving their lives to Wolfsburg, Germany. It is an amazing opportunity for them and I'm happy for them. Really, I'm happy for them. I swear, "I'm happy," and if I repeat that enough I'll believe it. Not only am I interested in spending as much time with them as I can before they head out of town, we're also throwing an Auf Wiedersehen party for them this weekend. 3) Can't stop looking at Fashion Week Collections. 4) I got sucked in. 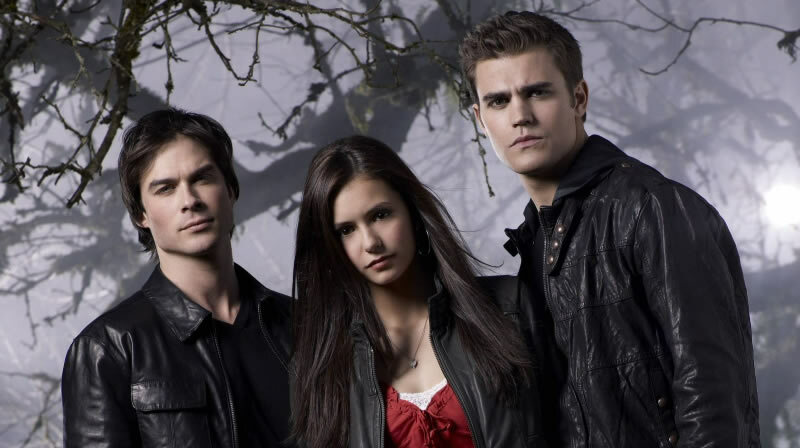 I stayed away for two seasons but was convinced in a moment of weakness to watch a few episodes of The Vampire Diaries. Now I'm completely hooked. I've been power watching season 2 in preparation for the series premier this week. Don't judge, it's angsty teen drama at its best. It turns out that pretty people + great music + complicated vampire mythology = good television. As we speak I'm on episode 18, which means I've watched ... carry the one ... thirteen and a half hours of Kevin Williamson's latest masterpiece in the past two weeks. Who says I have commitment issues? 5) Then, in my freeeeeeeeee time I've been boning up on all the fall trends to put together a few looks for Fall Fashion Week. I must admit that I'm loving playing in my closet and re-working all my old pieces to come up with some fun new looks. Nothing like shopping your own closet! I know excuses, excuses. But hopefully, I'll be back to the blogosphere on a more regular basis pretty soon. Until then, what have you been up to lately?